Richly interlaced with trails and lifts the valley of Val di Fassa e Carezza thanks to favorable natural conditions of the most visited ski resorts in the Italian Dolomites. Located in the center. Central towns Moena, Campitello and Canazei provide all categories of accommodation for thousands of visitors from around the world. A modern, recently built (2008) resort hotel residence with Al Sole Club in typical mountain style, situated about 200m from the center of Canazei at an altitude of 1465 meters. Shops nearby. A modern, recently built (2008) resort hotel Al Sole residing in typical mountain style, situated about 200m from the center of Canazei at an altitude of 1465 meters. Shops nearby. Hotel Piccolo is located in a quiet location near the center of Canazei, good accessibility lifts. Shops and restaurants within walking distance. Various apartments and residences are located in the resort of Canazei (1,460 m), mostly located close to supermarket, restaurants, pizzerias, bars, banks, shops, ski school, ski rental and ski equipment, beauty center. Pleasant Hotel Engel is located about 500m from the center of Canazei, 300 meters from shops, bars and restaurants and close to the ski lifts in Val di Fassa. Park Hotel & Club Il Caminetto belongs to a network of Hotels Union Hotels and is located in a quiet location about 700 meters from the center of Canazei - convenient location for skiing in Val di Fassa and the Sella Ronda. Residence Contrin has an excellent position - entry into the Sella Ronda ski area, located in Canazei at an altitude of 1,460 m above sea level. Surrounded by forest, the hotel is situated on the edge of the Marmolada, 5km from Canazei and lifts outlook on the Sella Ronda. Schloss Hotel Dolomiti built Habsburg style is centrally located in Canazei, close to shops, restaurants and amenities. Hotel Stella Montis is located 500 meters from the center of Campitello with shops, bars and restaurants. Altitude resort 1,448 meters. Hotel Nevada has a sunny location just 300 meters from the center of Campitello and 200m from the shops, bars and restaurants. Pharmacy 500m. Hotel Le Rocce consists of two buildings and is located in a quiet location. Campitello center with shops, bars and restaurants is 100m. The typical Alpine Club & Hotel Grohmann is located in the center of Campitello di Fassa, about 50m from shops, bars, pastry shops and restaurants. Fortuna apartments and residences are located in the town of Campitello di Fassa(1460 m) is located near supermarket, restaurants, pizzerias, bars, banks, shops, ski school, ski rental and ski equipment, beauty center. Rododendro Hotel is located in a quiet location but only 150 meters from the center of Campitello di Fassa. Airport about 50km, Pharmacy 200 m, bars and restaurants about 200m. Friendly and Medil elegant hotel has an excellent location just 200 m from the center of Campitello. Hotel Garni Aritz has an excellent location only 200 m from the center Campitello di Fassa, in the altitude of 1,440 m.
The apartments and residences are located in the town of Campitello di Fassa (1 440 m), in a quiet environment, surrounded by the massif of the Dolomites. Recently built (2007) apartment house Cesa Soreie with a 3 apartments for rent is located in the town of Campitello di Fassa only about 300m from the center with shops and restaurants. Aparthotel Princess is situated in a quiet panoramic location in Penia di Canazei, about 2km from the center of Canazei in Fassa valley. Various apartments and residences are located in Penia di Canazei (1,480 m), mostly located close to supermarket, restaurants, pizzerias, bars, banks, shops, ski school, ski rental and ski equipment, beauty center. Family run hotel Dolomites Inn is located in a quiet location in the center of Penia Canazei. Canazei center about 3km. Various apartments and residences are located in Alba di Canazei (1,517 m), mostly located close to supermarket, restaurants, pizzerias, bars, banks, shops, ski school, ski rental and ski equipment, beauty center. Residence Casa Canazei - complex consists of four buildings built in typical local style and is located about 300 m from the center of Alba, and about 2 km from Canazei. Located at an altitude of 1,517 meters n.m.
Family run hotel Albolina is located in the village of Canazei near the cable cars leading into the heart of Val di Fassa and the other side of the Sella Ronda circuit. Canazei center with shops and restaurants about 2km. Casa Fanton Apartments are located in the center of Pozza di Fassa, about 200m from the shops and restaurants. Cavalese about 30km. Hotel Montana is located in the Val di Fassa, which is part of the Dolomiti Superski and linked to a known Sella Ronda ski circuit. Center about 500m. Hotel Arnica is located about 200 meters from the center of Pozza di Fassa. Shops and restaurants about 200m. Hotel Aida is located in the village of Pozza di Fassa, near shops and restaurants. Hotel Alpine Touring is situated in panoramic location in the town of Pozza di Fassa, about 900 meters from the center toward Vigo, shops and restaurants in location. The town is conveniently located within the valley skiing possible in all directions - a link to the Sella Ronda, Tre Valli, Alpe Luisa, to Val di Fiemme. Spacious, modern hotel Club Regina E Fassa is located in a sunny and quiet location in the heart of Val di Fassa, about 1km from the town center of Mazzin di Fassa and 2km from Campitello. Various apartments and residences are located in the center Mazzin di Fassa (1,370 m), mostly located close to supermarket, restaurants, pizzerias, bars, banks, shops, ski school, ski rental and ski equipment, beauty center. Stylish hotel Alpenrose is sunny, panoramic location in the center Mazzin di Fassa (1340 m asl). Myosotis Residence is situated in a quiet location in the heart of the Dolomites, about 1km from the center of Mazzini di Fassa at an altitude of 1340 meters. Family Hotel Europa has kept quiet yet central location. Located in the center Pera di Fassa, in altitude 1340 m.
Various apartments and residences are located in the center Fontanazzo (1410 m), between the resort towns of Campitello and Mazzin. Mostly near the apartments there is a supermarket, restaurants, pizzerias, bars, banks, shops. Various apartments and residences are located in the center Campestrin (1410 m), between the resort towns of Campitello and Mazzin. Mostly near the apartments there is a supermarket, restaurants, pizzerias, bars, banks, shops. Ski resort of Val di Fassa is among the most visited Slovak skiers in the Alps. 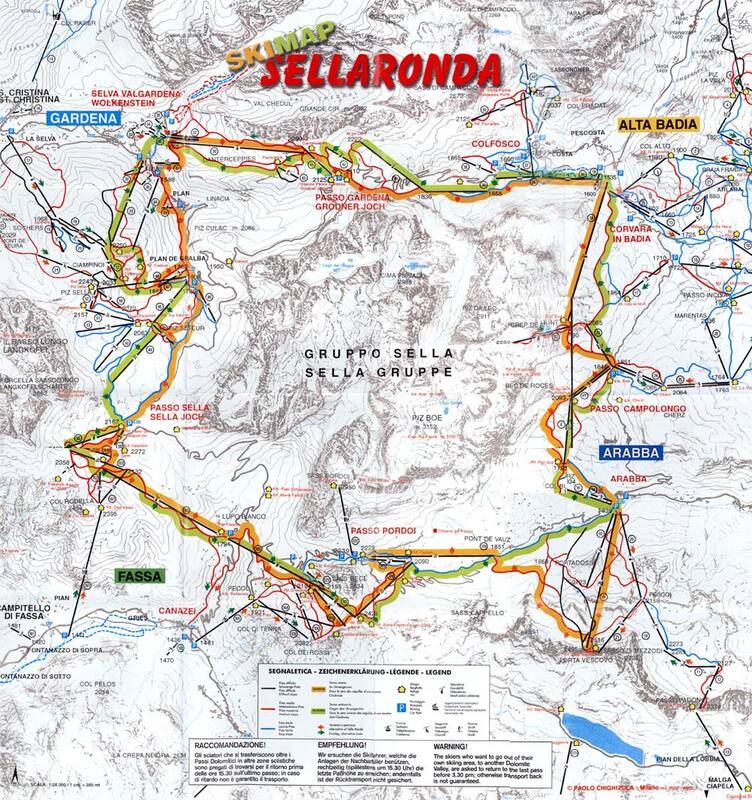 It is caused by an excellent ratio of price - performance (ie acquire quality for money), incomparably more favorable prices than apartment accommodation in the area, perfectly prepared slopes and the associated quality skiing link around the Sella Ronda.